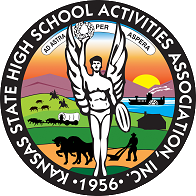 The following information is designed to provide guidance to the Kansas directors who wish to enter any KSHSAA State Large Group Festival using the Festival Manager web site. I suggest you print a copy of this as it will help you when it is time to enter a festival. Please note, you must have registered as a user and updated your profile before you are allowed to enter ANY festival. (This is a one-time registration and good until you change schools). If you need registration instructions, contact Craig Manteuffel. The managers have also been trained to help you. Please call or email them if needed. I encourage you to not wait until the last minute. We have hundreds of directors and thousands of entries and will only be able to help so many on a given day. If you encounter a problem, it would be nice to have a few days to work them out. Consider entering several days early. Remember entries may be edited clear up to the deadline date. We will open the festival sites for entry one month prior to the entry deadline. LATE ENTRIES WILL NOT BE ACCEPTED without approval and a late fee. There will not be a question regarding when entries were submitted due to the computer time stamp. This will facilitate our manager's ability to release schedules well ahead of time.